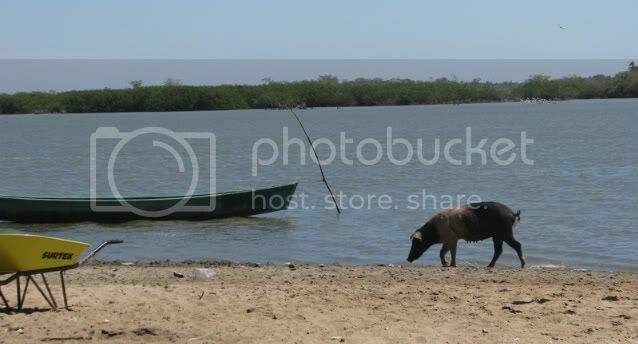 TECOMATE, Guerrero-- I've got to say that small towns in Guerrero have a lot of loose pigs and piglets running around. One time we had to hit the brakes in the car and wait until a family of pigs crossed the road. But the funniest moment had to be when the pig in the picture went for a swim later on the beach shore. Ah, it's good to be a pig in Tecomate.